The body of the mantle is spun one piece from non-rusting Aluminium (up-to 5.0 Liters Capacity) duly staving painted. All heating mantles made from glass yarn are lagged with special grade mineral wool To work 220/230 Volts A.C. 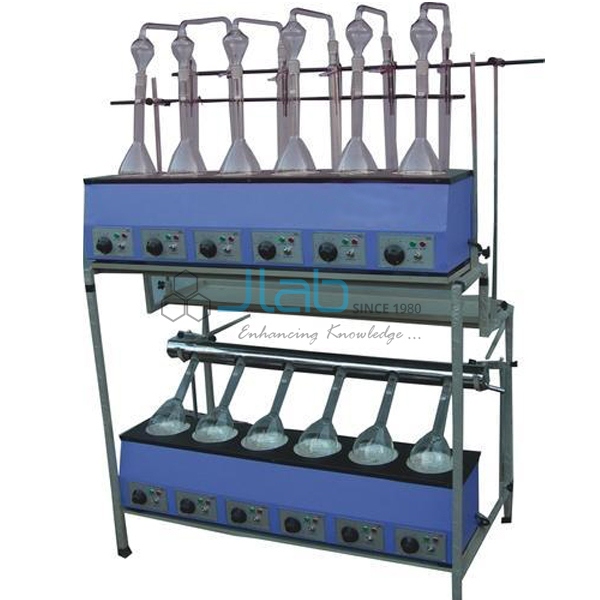 Supplied complete with two sets of Mantle type heating platforms, one for distillation and one for digestion. Supplied complete with condenser rack, FUME DUCT and pair of hangers. Complete set up is supplied a M.S. Tubular stand. 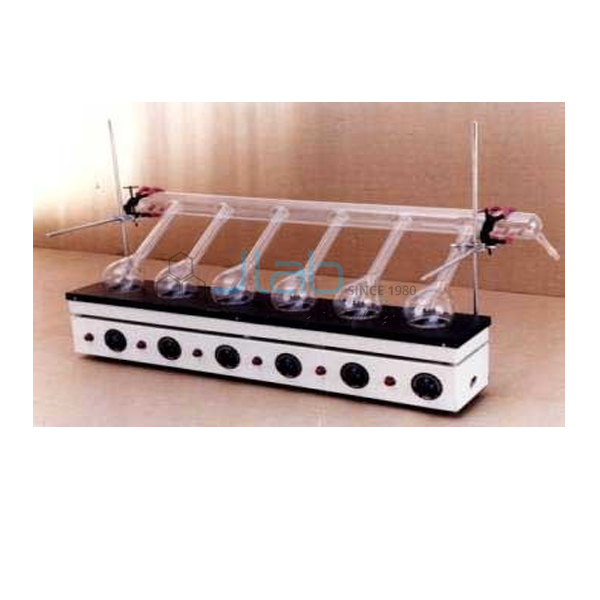 Both units are supplied with individual energy regulators. Rating of each test : 200 Watts. Supplied with or without Glass Parts & Clamps. To work on 220/230 volts A.C. supply.